I love to have my music available wherever I go, whether I'm exercising, on a walk, a picnic, in my car, or even at work. So, when I was able to try out the AncordWorks Wireless AW45 Bluetooth Speaker I was pretty excited about it. This little speaker has great sound and it pairs up quickly with my phone. Within seconds I was streaming my music. I can even make hands free calls using the echo cancellation feature. Pretty cool, huh? It's really lightweight but sturdy, made of German ABS resin and PC material. It has an ergonomic handle on the top to make it super easy to carry around, plus it has a slip-proof bast that makes sure it stays put. One of my favorite features? It's waterproof!! No more worry over accidents! 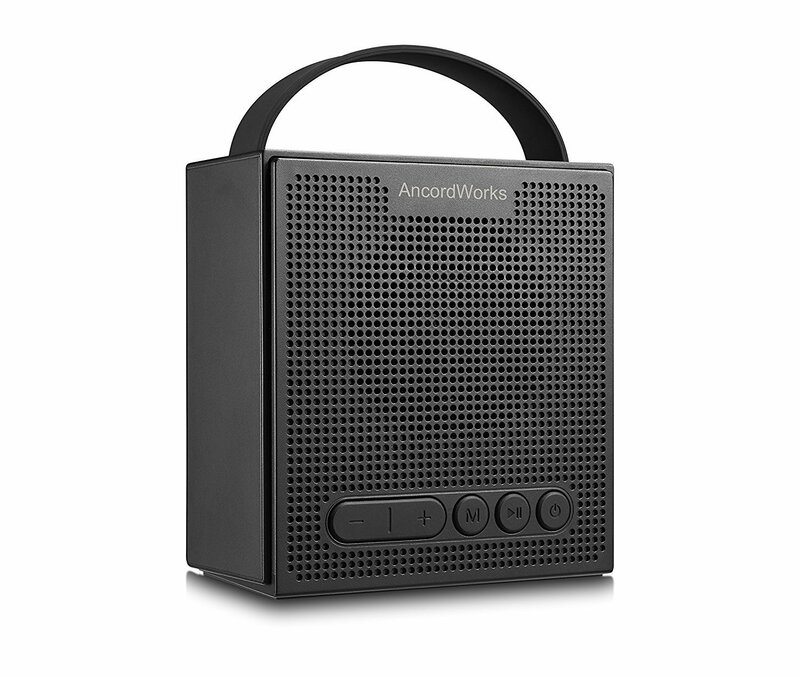 This speaker also has an utra-sensitive wrap around FM radio antenna so you can listen to your favorite FM stations. The bright LED screen allows you to not only see the station but you can also save it , making it easy to listen to your favorite stations later. It can also be used as an alarm clock. On top of this speaker there's an AUX port and a TF card slot for enhanced connectivity and extra storage options.